01/12 - Pre-operative clinical situation. 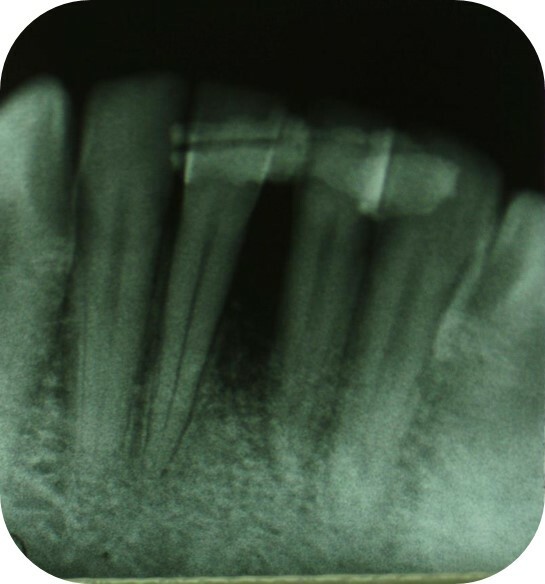 02/12 - Pre-operative radiograph. 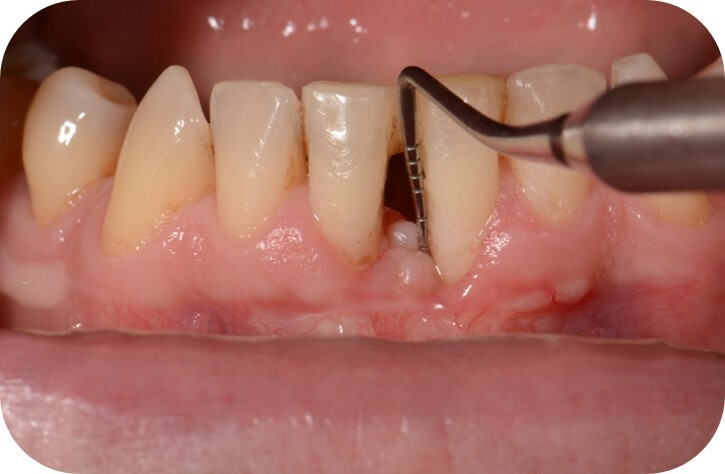 Deep intrabony defect at tooth 31. 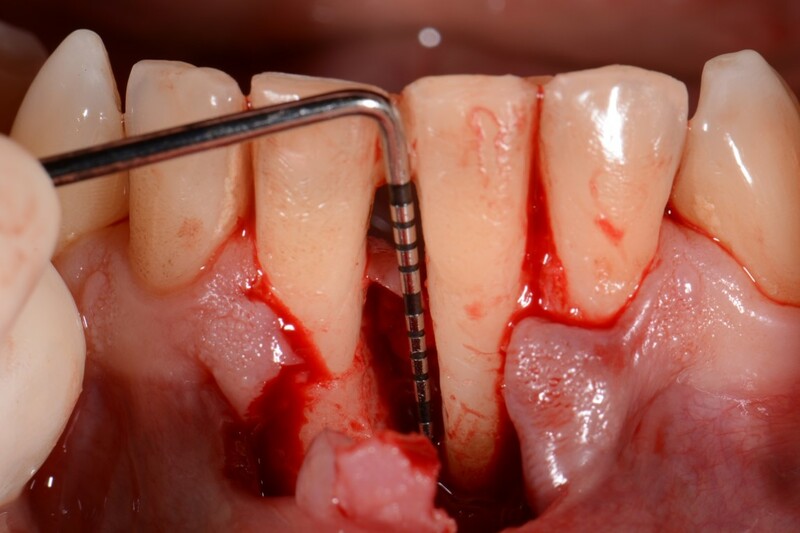 03/12 - Intra-operative view shows a deep two-wall intrabony defect mesial to tooth 31 (PPD 13 mm). 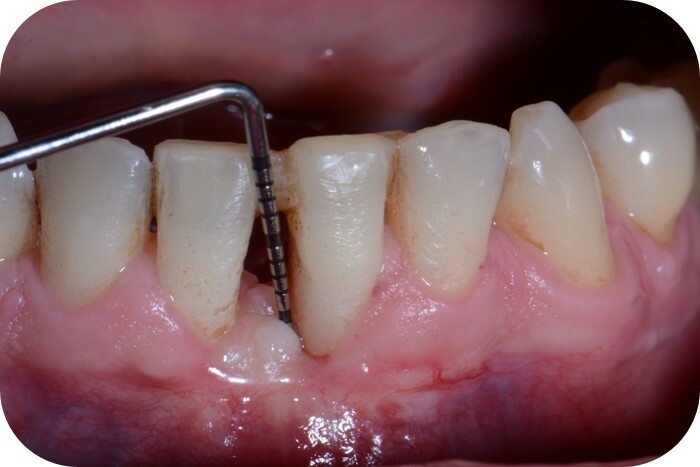 04/12 - Application of Straumann® Emdogain® to the exposed root surface. 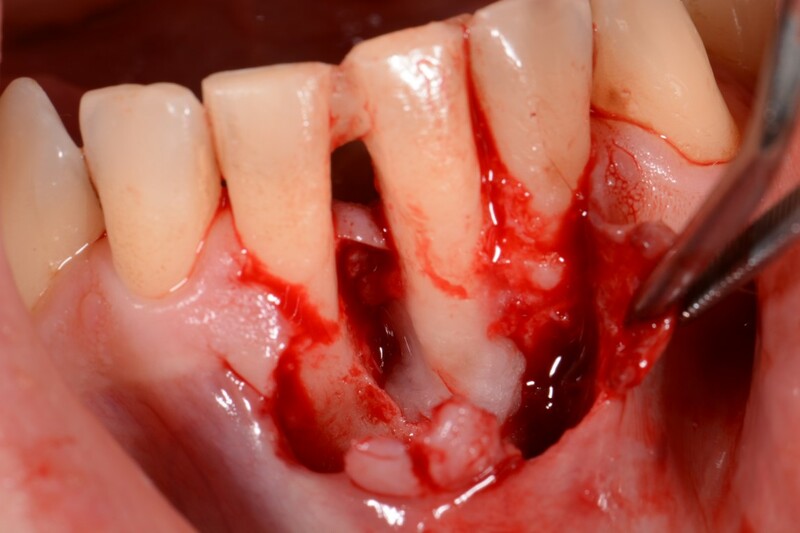 05/12 - Application of small cerabone® granules mixed with Straumann® Emdogain®. 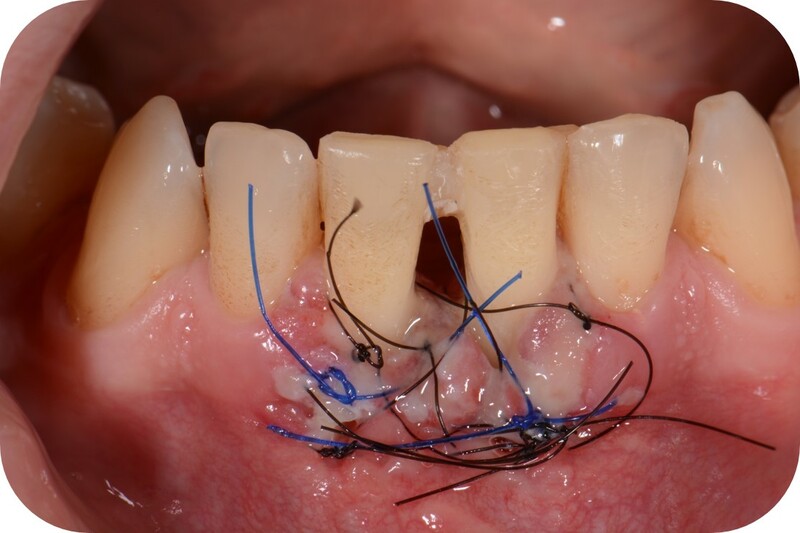 06/12 - Soft tissue augmentation with mucoderm® collagen matrix. 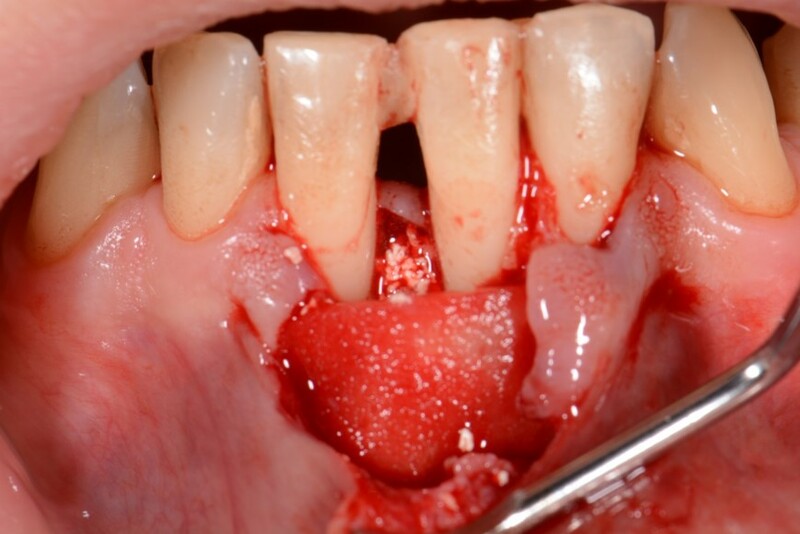 07/12 - Primary wound closure and application of a periodontal dressing. 08/12 - Clinical situation 1 month post-operative. 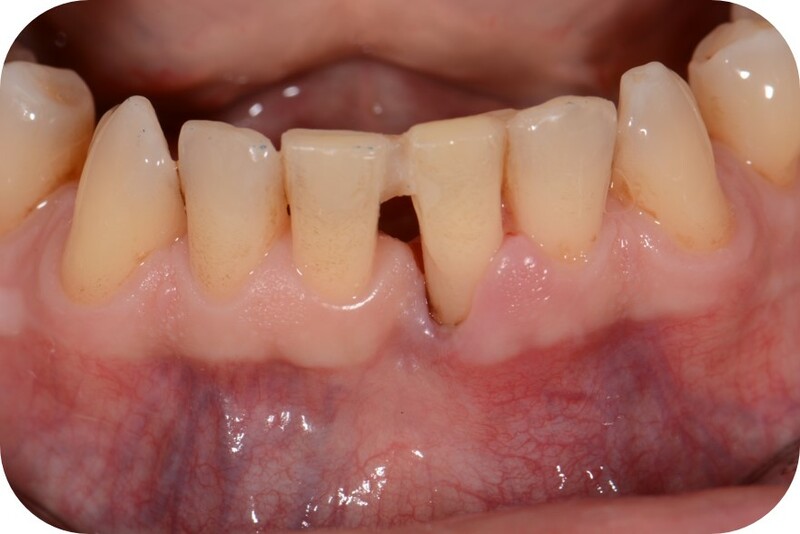 09/12 - Augmentation of keratinized gingiva with a free mucosal graft. 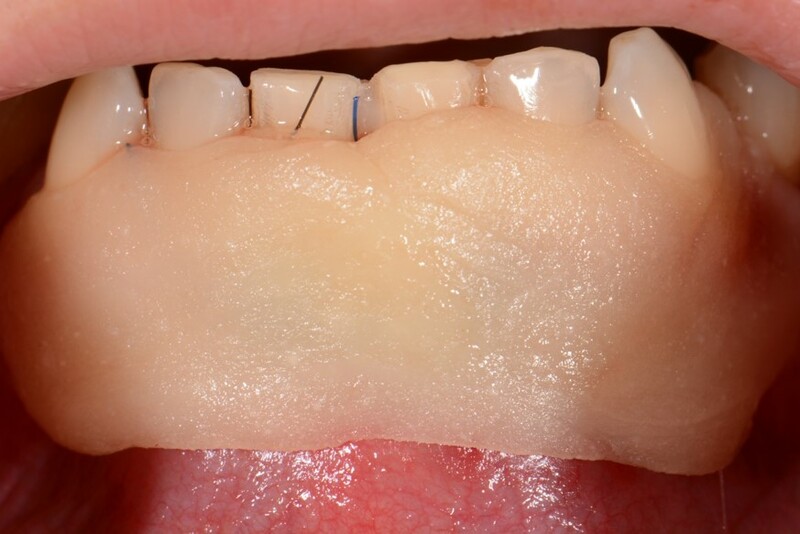 10/12 - Clinical situation 3 months post-operative with 5 mm probing pocket depth. 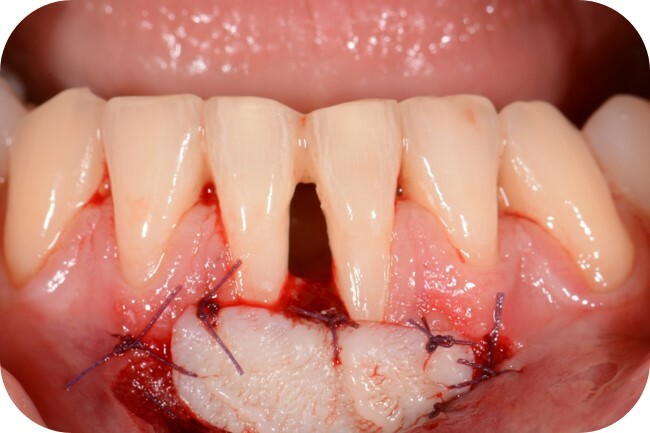 11/12 - Clinical situation 6 months post-operative. 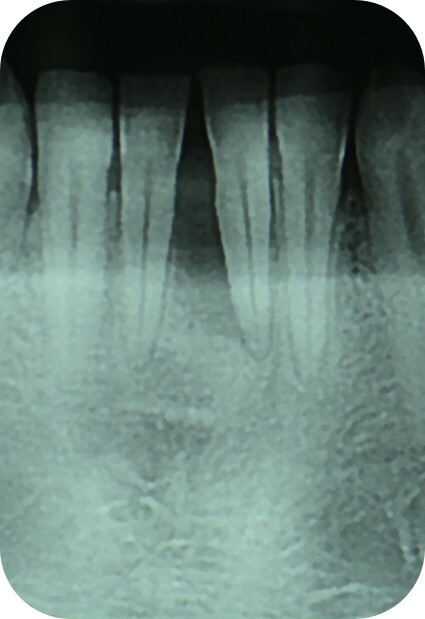 12/12 - Radiograph shows osseous fill of the defect 6 months post-operative.